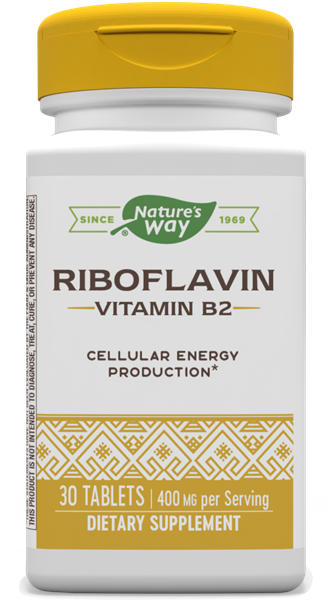 Riboflavin / 30 tabs - Nature's Way®. Caution: Do not use if taking any medications without seeking advice from a healthcare professional. Avoid excessive exposure to UV radiation (e.g., sunlight; tanning) while using this product. If pregnant or nursing, consult a healthcare professional prior to use.